According to the theory of linguistic relativity and the hierarchy of color, almost all spoken languages evolve words for colors in a specific order: black/white, red, yellow, green, and finally, blue. Almost universally, the word for the color blue is the last to develop. Linguists now theorize that languages do not evolve words for colors until their cultures can fabricate them. Since blue is the most difficult color to reproduce, it is usually the last color word for a language to develop. Additionally, once a color can be replicated, the mind develops a category for items that fit that classification. In fact, in many ancient texts, such as the Iliad and the Odyssey, the word blue is nonexistent. Which means that poetry, particularly for such aquatic epics, is older than a word to describe the color of the sea. The languages we speak and the words we know influence how we perceive the world. 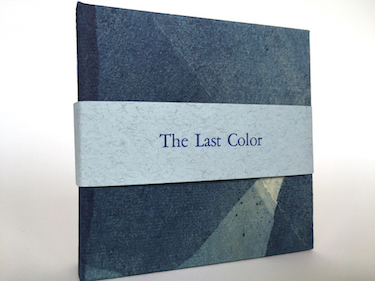 In The Last Color, readers are invited to contemplate this notion, and to wonder what it would be like to look at the ocean and not know the word for blue. 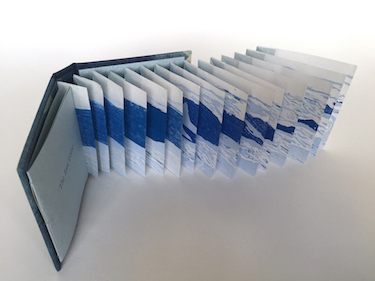 Michelle Wilson is a papermaker, printmaker, book and installation artist. She is also one-half of the ongoing collaborative, political art team BOOK BOMBS. She has exhibited her work both internationally and in the United States, including participation in biennials such as Philadelphia's Philagrafika 2010 and the 2006 Second International Biennial for the Artist's Book in Alexandria, Egypt. Her artworks are in various collections, including Yale University (New Haven, CT), the National Museum of Women in the Arts (Washington, DC), and the Mediatheque Andre Malraux (Strasbourg, France). She is a past Artist-in-Residence at the David and Julia White Colony in Ciudad Colon, Costa Rica, the Jentel Artist Residency Program, in Banner, Wyoming, and the San Francisco Center for the Book. Grants she has received include a Puffin Foundation Grant, a Pennsylvania Council on the Arts Project Streaming Grant, and an Artist-Investigator Grant from San Francisco's Triangle Arts Lab. 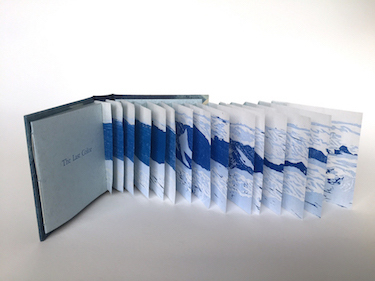 In 2007, she was awarded the Lenore Adelman Award for Book Arts. Creative Capital designated her as an "On Our Radar" artist in 2015. In addition, she is a past hand-papermaking advisor to Signa-Haiti, a non-governmental organization developing a sustainable and bio-dynamic economy in Haiti. Wilson’s imprint is Rocinante Press. A former longtime resident of Philadelphia, Wilson now lives and works in the San Francisco Bay Area.